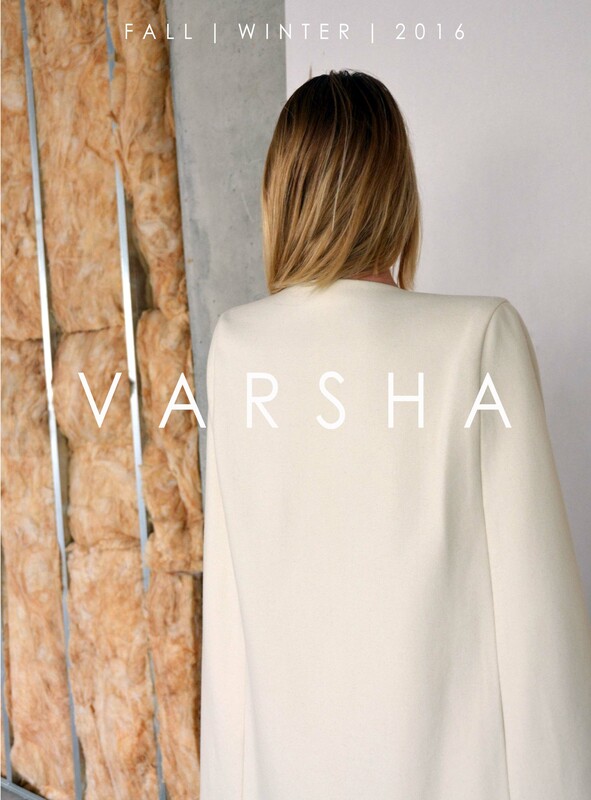 V A R S H A is a contemporary womenswear brand inspired by the women with strength and purpose; created for the woman who wants to take over the world. Thoughtfully designed for the lifestyle of the working woman. Years of thought have gone into creating the concept behind our clothes. We focus on design that is tailored to the busy lifestyle of the working woman. All our clothes can be layered in multiple ways and can be transitioned easily from day to evening. Crafted by America's most skilled makers. Made in the heart of LA's garment district, each garment is meticulously constructed to provide you with only the finest craftsmanship. Textiles hand selected and sourced from all over the world. We hand pick all our fabrics from the finest textile mills across the globe. Each fabric is chosen so as to bring the designs to life and offer maximum comfort. Coming from a consulting background, Varsha saw the frustration of her colleagues with the lack of choice and creativity in their day to day work wear. Out of that, the concept behind “V A R S H A” was born -- To bring style back to the workplace. Varsha went back to school to obtain her degree in Fashion Design from F.I.T, NY and today, she applies her experience as a consultant combined with the technical skills absorbed during her training to make clothes that complement a professional woman's lifestyle. We believe that professional wear should be fun. When you spend more than 10 hours a day in an outfit, you should at least have a good time wearing it.